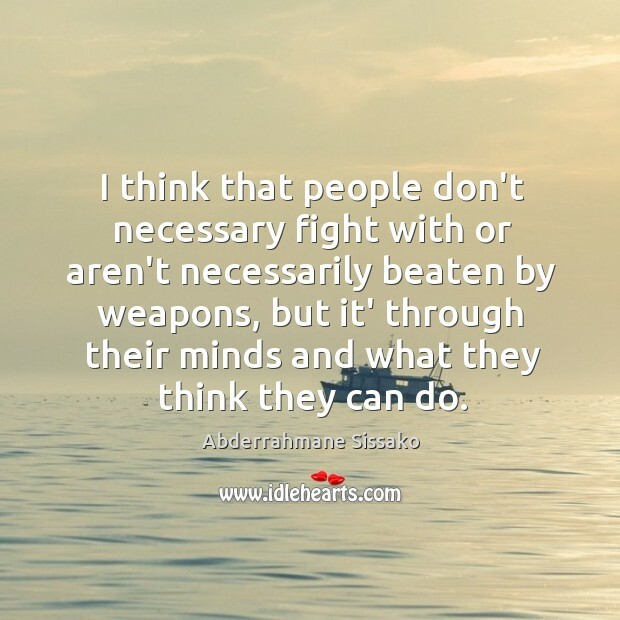 Enjoy the best inspirational, motivational, positive, funny and famous quotes by Abderrahmane Sissako. Use words and picture quotations to push forward and inspire you keep going in life! 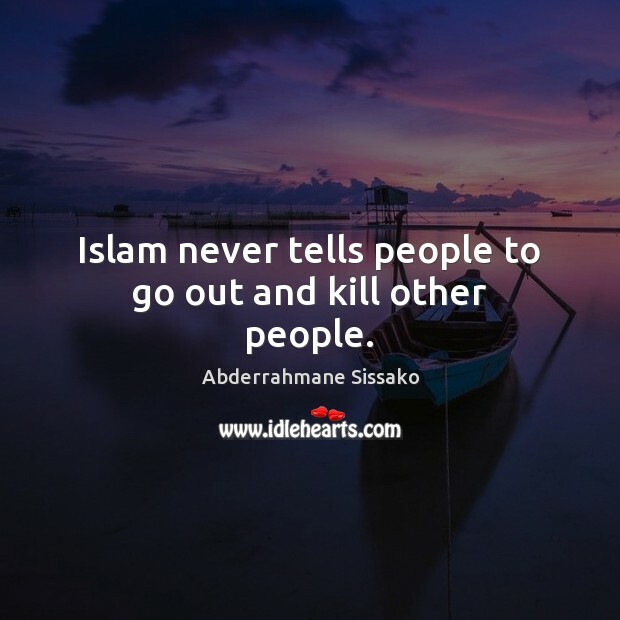 Islam never tells people to go out and kill other people. 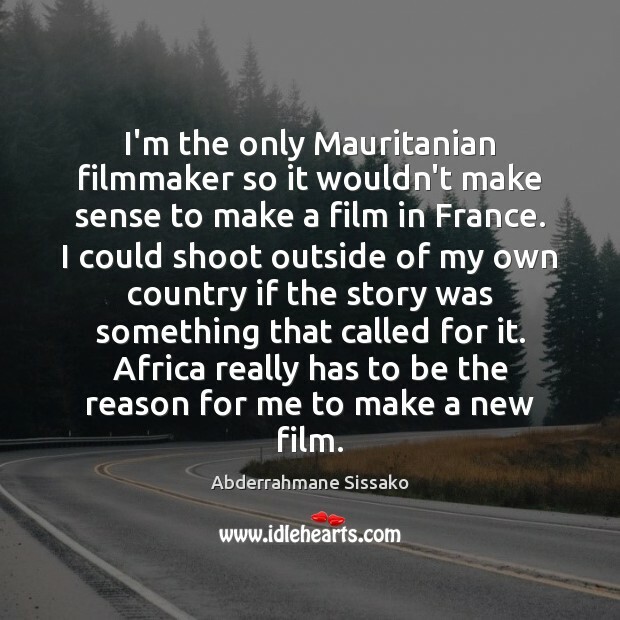 I'm the only Mauritanian filmmaker so it wouldn't make sense to make a film in France. I could shoot outside of my own country if the story was something that called for it. Africa really has to be the reason for me to make a new film. Of course, technology is very important now. It's there, its available. It's there to be use however you see fit. 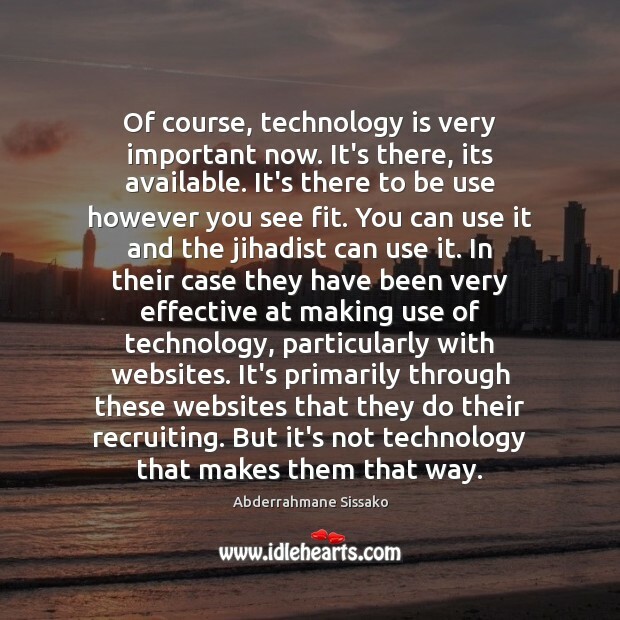 You can use it and the jihadist can use it. In their case they have been very effective at making use of technology, particularly with websites. It's primarily through these websites that they do their recruiting. But it's not technology that makes them that way. 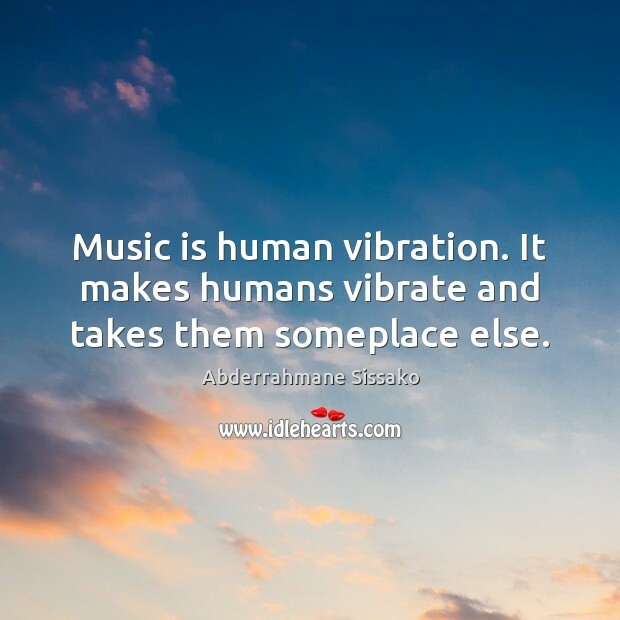 Music is human vibration. It makes humans vibrate and takes them someplace else. 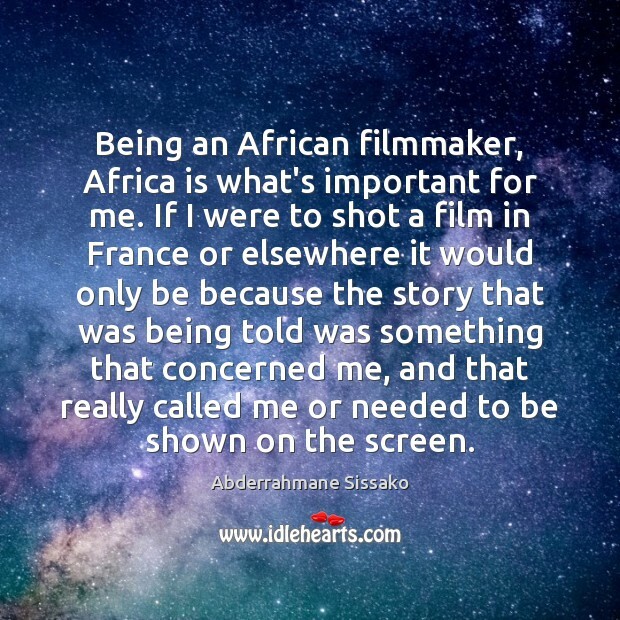 Being an African filmmaker, Africa is what's important for me. If I were to shot a film in France or elsewhere it would only be because the story that was being told was something that concerned me, and that really called me or needed to be shown on the screen. 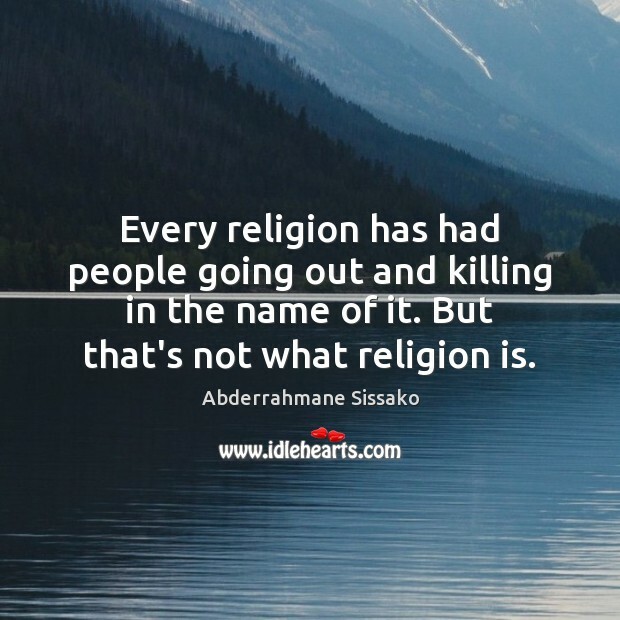 Every religion has had people going out and killing in the name of it. But that's not what religion is. 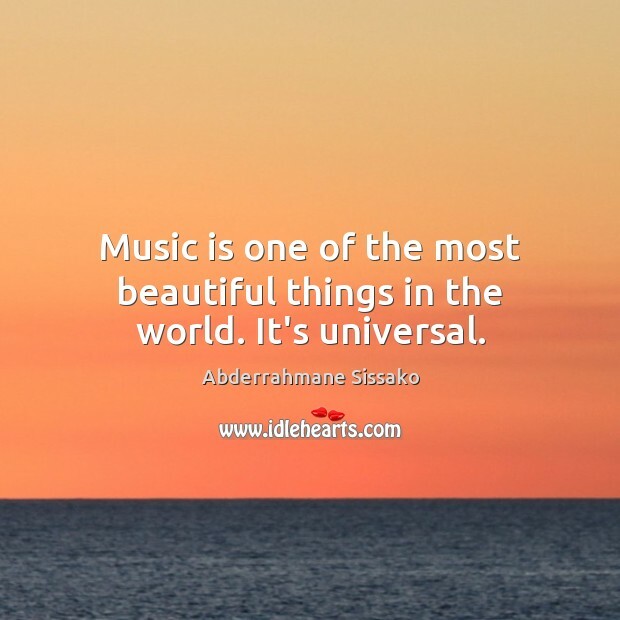 Music is one of the most beautiful things in the world. It's universal. 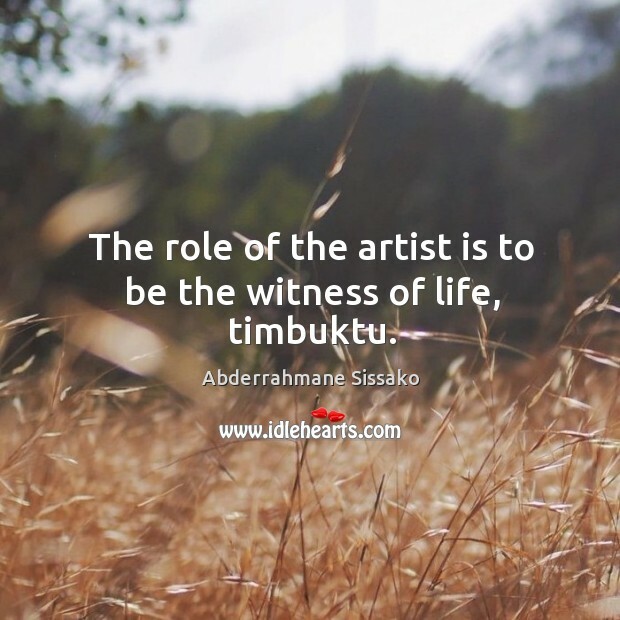 The role of the artist is to be the witness of life, timbuktu.